With all the trouble there was making The Dark Tower, not to mention all the delays in doing so, it’s hard to say how well the film will do when it hits theaters in early August. Anticipation for Stephen King’s magnum opus is growing through, and it’s helped along by the great footage we’ve seen so far. Last night during the BET Awards, new clips were aired that makes the film look even more like one of the summer’s must watch. 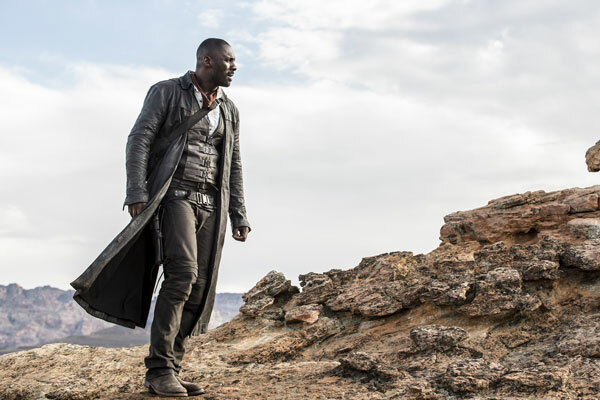 The Dark Tower, in case you haven’t heard, is about a gunslinger who wanders an apocalyptic world searching out the mysterious Man in Black before he takes down the Dark Tower and destroys the world. While author Stephen King has long stated that he envisioned Clint Eastwood in the title role, he also acknowledges that the actor is now too old for it, and has talked highly of Idris Elba’s casting choice. In the new teaser that aired during the awards, you get to hear from King, Elba, and Elba’s co-star Matthew McConaughey. You also get to see footage of Roland travelling with Jake Chambers (Tom Taylor), a boy who has the power needed to help protect the Dark Tower. As you can see in the footage, Roland and Jake travel through both Roland’s world, and Jake’s present day New York. You also get to see some scenes of Roland firing his six shooter, as well as some of the special effects you can expect in the film. All in all, it just makes us even more excited for the August 4th release date. You can watch the footage below.